Beautiful flowers delivered fresh to your lobby, showroom or office. For years we have reliably delivered beautiful fresh flowers to showrooms, lobbies, workshops, waiting rooms, offices and restaurants all over Newcastle. 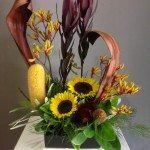 Over this time, we have established a reputation for not only delivering consistently beautiful flowers, but also for providing excellent customer service. 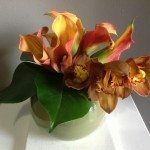 We deliver your flowers weekly at a time that is convenient for you and your business. 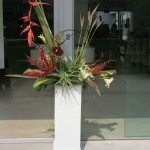 We guarantee freshness and quality to ensure our flowers are long-lasting and wow your customers, guests and business associates. 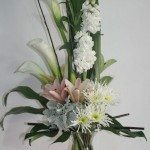 We give further peace of mind by ensuring that if your flowers to not meet our high standards we will have a florist on-site quickly to fix them. Regardless of size, budget and style, our florists work tirelessly to ensure your flowers positively represent your brand. For a free consultation and quotation, please call or email us to arrange an appointment.